Joining Ginny’s Yarn Along after seeing and loving the posts on Celtic Cast On. Reading: I picked up this book at Borders even before we went to see the film adaptation. 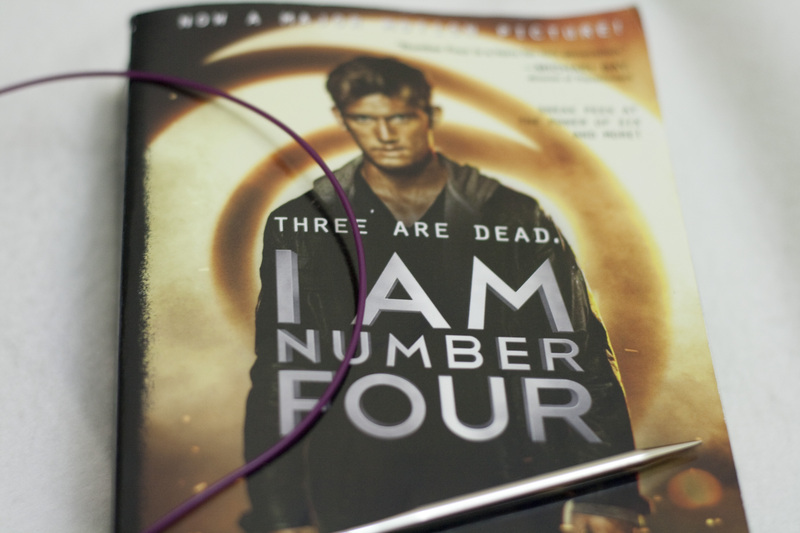 I Am Number Four by Pittacus Lore and Neil Kaplan is an engaging book. It’s written in plain English but even the addition of the Lorien and Mogadorian fictional lore it is still engaging. The film version is also very well done. Most of the time when they adapt a book to film, they film it assuming that the moviegoer knows about the backstory of the book. This time, even if you have never read the book you will understand and appreciate the story. I am looking forward to the film sequel. Knitting: I completed a project this week after what seemed like a very long time. This is one of two projects out of the same lot of yarn. It’s unblocked for now but will soon be. 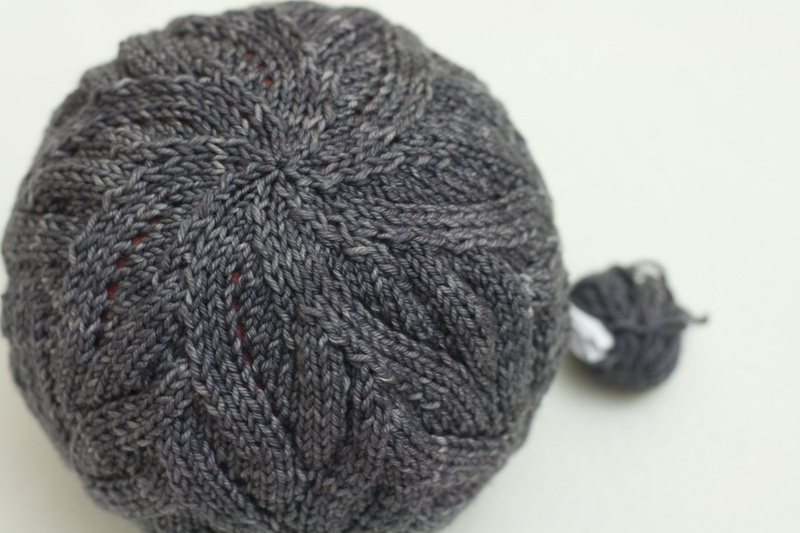 Crooked Paths by Melissa La Barre is a very simple yet enjoyable knit and it is specially gorgeous in Tosh Vintage. In a way, this is also an FO post. The second project I am knitting on is my Nutkins as part of the Super Special Six Pattern Sock Club. It’s a tricky design, not the pattern itself but the way the finished garment acts up. Knitters in the SSSPSC speak of the same problems about the twisty leg and snugness. 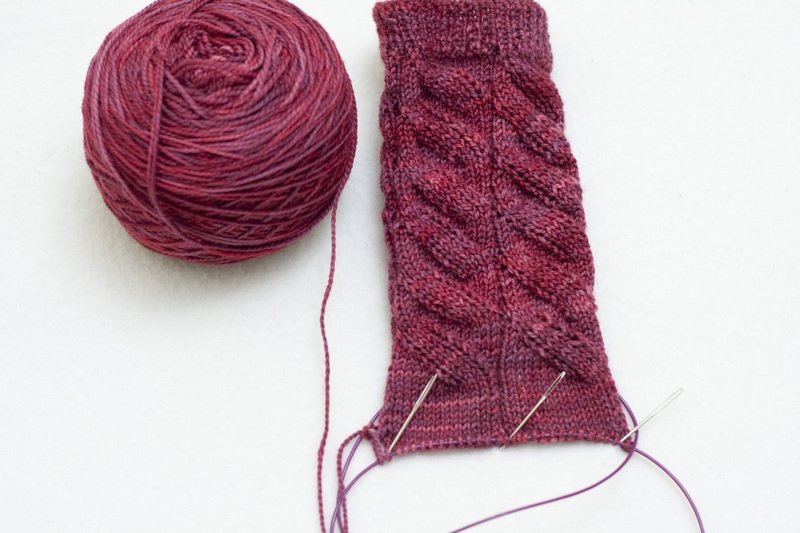 But I am powering on because I do love the pattern and have been waiting so long to knit with Sundara Yarn again. Love that grey Tosh Vintage YUM! Hehe, glad to see Kelly snagged you:) I wanted to sign up for this but I know that I would FAIL miserably!! I did however check out an audiobook from the library…ahem, yet to pop it into the laptop to listen! !